Villa Restaurant Group has an expansive portfolio of high quality quick service brands that we refer to as our emerging brands. 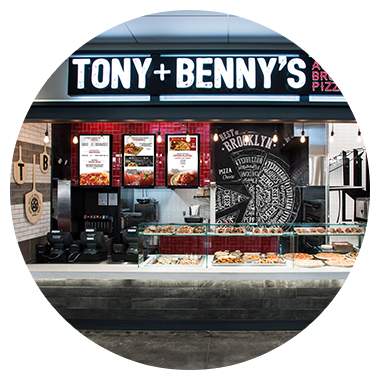 These specific concepts give Villa a unique level of versatility to offer our partners all-encompassing food court solutions and a range of options not typically found in the industry. 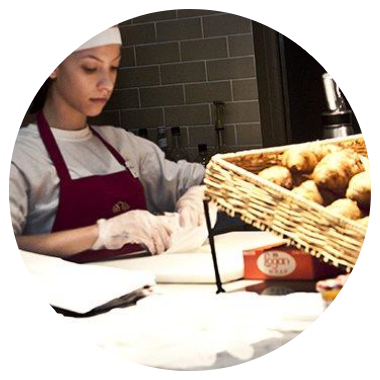 Each brand has been specifically curated using the best practices and cuisines from their respective categories to create distinctive dining experiences to meet every taste and appetite possible. Taking the old world Brooklyn pizzeria into the 21st century, this upscale Brooklyn themed pizzeria features food items like specialty pies, oversized strombolis, and everyone’s favorite...zeppoles! 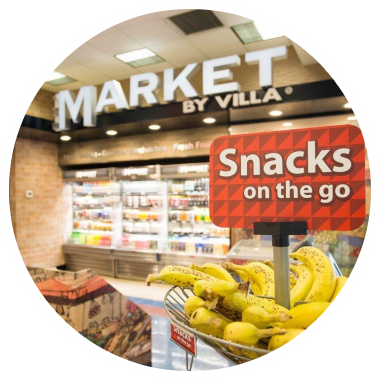 The Market by Villa is a walk-through style grab and go concept crafted off the concept of European street markets. 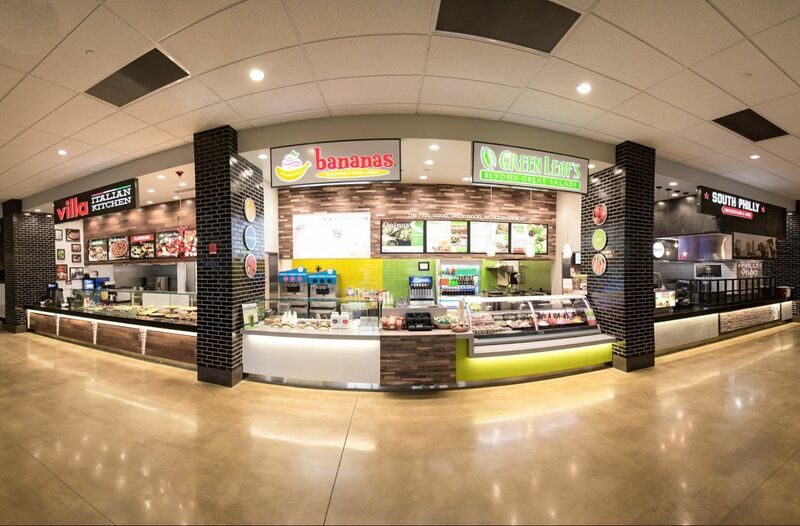 The full offering of each Market by Villa can be adapted to a wide range of sizes, space configurations, and menu mix needs. 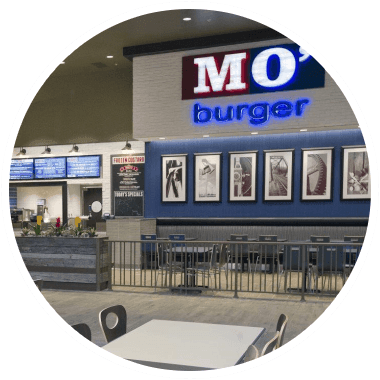 The colors and graphics of the brand are intended to invite customers inside and to provide meal and snack options for the guest that may be short on time or on the move. The brand is ideally positioned for travel plazas, airports and other high foot traffic venues. Inspired by a small neighborhood café in the French countryside, Croissanterie is the perfect spot to enjoy the unmistakably rich flavors and aromas of freshly ground, slow-drip coffee, hand filled croissants and delicious artisan baguettes. The design is a whimsical interpretation of a traditional patisserie and is sure to elevate the offering of any food and beverage landscape imaginable. Sukotto is a made to order Japanese concept specializing in traditional teriyaki and noodle soups. 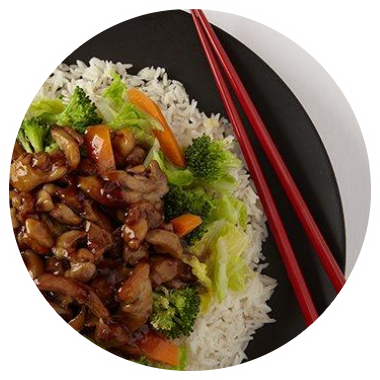 By using the freshest ingredients Sukotto offers guests a lighter Japanese meal with a hibachi twist. Far East Asian Fire is one of Villa’s newest concepts. 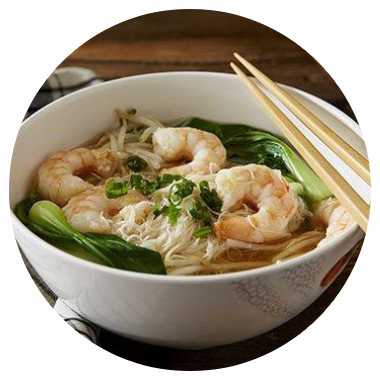 This brand is based on traditional and newly inspired Pan-Asian cuisine and features hot protein entrees, rice based dishes, traditional noodle bowls, an array of freshly prepared sushi items, and our signature sriracha wings. 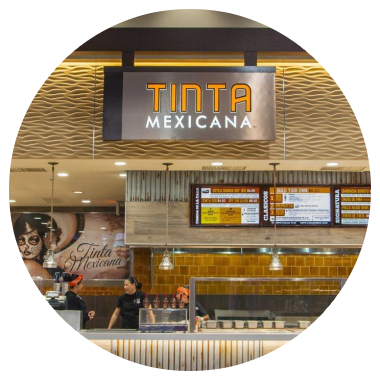 Developed in collaboration with critically acclaimed chef Silvana Esparza, Tinta Mexicana opened at the Food Hall by Villa at Arizona Mills Mall in 2013. Serving traditional Mexican street food, signature dishes include the Sonora hot dog, barbacoa burrito, tacos de pina and a variety of Mexican tortas. Guests can also sip on freshly made agua frescas and horchatas. This concept is a real taste of Mexico.